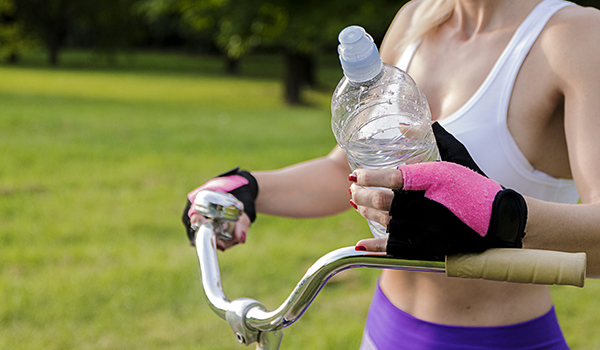 If you go for a run or hike or other on-the-move fitness experience, how do you handle your hydration needs? Active people need hydration “carrying” options. Here are some of the more well-known and some newer portable hydration options. One new and creative option that’s still on Kickstarter (as of this writing, it has $97,234 in funds raised) is Wetsleeve, a fluid container you wear on your arm. The ad teases effortless hydration on the go with an innovative hands-free approach. You can wear one single sleeve on one arm, or put a sleeve on each arm. Each offers 12 ounces of water (fluid) storage capacity. The sleeve has a roll-top closure for easy refills (you unzip to access the reservoir), a replaceable silicon mouthpiece, and a spine that helps to reduce “the liquid sloshing” as you exercise. 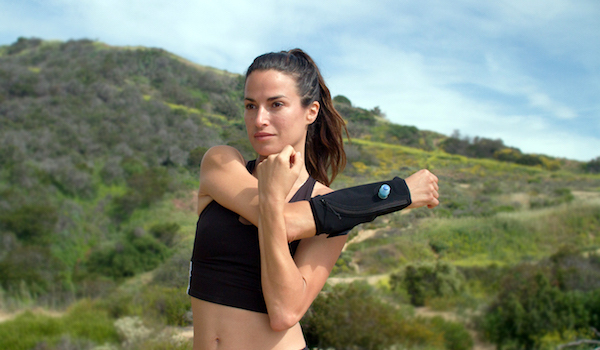 The prototype slides on and sits between your wrist and elbow, and the hands-free aspect makes it perfect for hiking, running, skiing, rafting, biking, kayaking, windsurfing, or yoga enthusiasts. An internal mesh gives it breathability, and it comes in three sizes – small, medium and large. The wraparound style lets you further adjust those sizes, and it’s made of durable, leak-proof, FDA-approved food grade materials. Retail pricing will likely start at around $50 each plus shipping charge. You can choose to join the Kickstarter campaign now to help finance its manufacturing and guarantee delivery once it is mass-produced. There are different investment options. Aspects to consider: Depending on how you use your arms during a particular fitness experience, the added weight of the fully filled sleeve(s) may “pull” on your elbow or shoulder muscles. Time will tell on that one. Cleaning the product: It’s important to make sure to follow the recommendations as to when to replace the mouthpiece (to limit bacterial-growth exposure and wear and tear). Swab the mouthpiece with an alcohol wipe and then rinse with water. If you are filling the sleeve with something other than water, rinse it out thoroughly with mild, soapy, warm water after each use, and then air dry. There are complete cleaning instructions online. 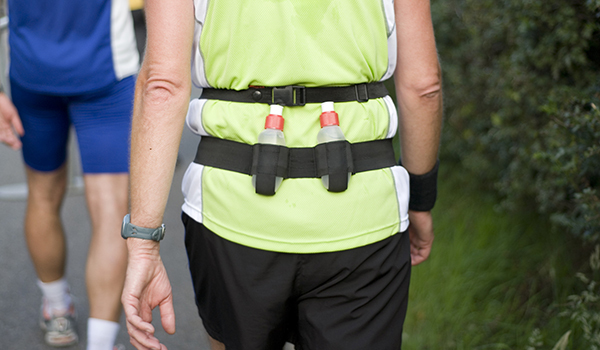 The hydration belt allows you to strap a belt onto your waist with various types and sizes of fluid-storage options. Some belts hold one or two small bottles like the Nathan Mercury 2. Typically a single belt allows you to transport 12 ounces of fluid, while a two-pack allows you to carry 24 ounces. There’s even a three-pack belt. Pricing: The belts hold the water bottles in different positions or configurations, so depending on your physical size and hydration needs, you might want to try a few versions from different companies in a store and then look for best pricing on line. Of course, if you’re a fashionista, they come in a variety of colors as well. Each belt usually has a waist adjustment. REI is a huge resource for fitness products and also has regular sales on these types of items. Cleaning the product: Clean the mouthpiece with alcohol wipes and rinse alcohol residue off (or use dilutions of bleach or baking soda and water). Rinse out the bottles after each use and dry completely. Follow the manufacturer’s recommendations for replacement of the reusable bottles. Manufacturers also recommend hot water and baking soda or hot water and bleach (very specific dilutions for safety) to clean any mouthpiece or the internal aspect of any bottle or the CamelBak described below. A grip bottle allows you to run or hike with “hydration in your hand,” if that’s an option you prefer. This is also a good choice for anyone with a sweaty job, like mechanics or people on construction sites. Many of the choices provide insulated water bottles that you fill and then a neoprene encasement around part of the bottle so you can grip it comfortably, like the R-Gear Come to Grips Bottle (21-ounce capacity). Pricing: Most of the grip bottles hover around $18 plus tax and shipping. These also come in a variety of color options. Cleaning the product: Any insulated container or plastic water bottle needs to be washed thoroughly between uses. Pay special attention to the mouthpiece, making sure you wash it with soapy hot water, or you can also wipe it down with alcohol, rinsing fully afterwards. Read the manufacturer’s recommended usage and replacement time frame. Considerations: Unless you’re going for a walk or quick jog, most fitness buffs will find this the least desirable choice. This special backpack was created so that fitness enthusiasts, especially hikers and mountain climbers, could carry significant amounts of fluid (even a couple of gallons) with a hands-free approach. You might find yourself on a precarious stretch of road during a hike or mountain bike ride and want to hydrate efficiently and safely. These backpacks prototypes – I think you can figure out why the company developed the trademark name CamelBak – house the fluid in a special section of the backpack. You can easily fill the chamber (which comes in a variety of sizes) and then drink from the mouthpiece on the plastic tube that extends from the internal water pack. The mouthpiece typically has a stopcock that you can keep open (to drink) or closed when you’re not using it. You can clip the tube’s mouthpiece to the front of your shirt, your collar, or the front strap of the backpack so it’s always handy. Pricing: The CamelBak comes in a variety of backpack sizes with multiple compartments and features, so prices can range from about $50 to over $200. Cleaning: The manufacturer offers specific cleaning and maintenance information in a pamphlet that comes with your purchase. Make sure to empty the CamelBak each time after cleaning it, and dry it well before storing it between uses. 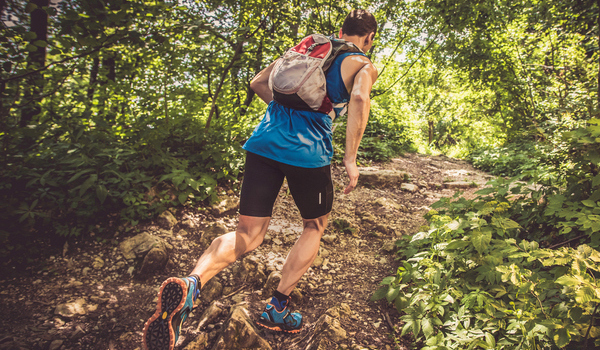 Considerations: If you’re making the investment, consider the different types of fitness activities you might be using the CamelBak for, and make the one-time investment that best meets all those needs. Also remember that a gallon or two of water adds some heft to the backpack, in addition to all the other items you may pack, so consider trying some on for size and then searching for best pricing or waiting for a holiday sale weekend. Any type of backpack should be fitted to your frame and weight-carrying abilities to avoid instigating lower-back issues. You can also invest in a lightweight, durable backpack and carry cold or frozen disposable water bottles in a resealable plastic bag. You can also store an insulated water bottle or two in the pack. Pricing: Find a variety of options in stores or online at Amazon, The North Face, and Jansport. Prices can range depending on the size, material, and compartments offered. Expect to spend about $30 to $50 for a durable backpack with one or two bottle sleeve holders. Considerations: It can be annoying taking off the pack to hydrate frequently, so look for backpacks that feature an easy-to-grab-from-outside sleeve for the water bottle(s). In that case, freeze the bottles so they defrost slowly or use insulated containers.